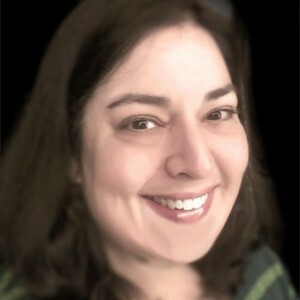 Susanne Posel is a globally syndicated independent journalist, and one of the most integral research journalists and sought after radio guests in media. She is the author of over 5,000 original headline news articles to date. Susanne is a professional member of the APME – Associated Press Media Editors association, and sits on the Associated Press First Amendment Committee. Susanne and the Foundation Media news group are also professional members of the ONA – Online News Association, and compete in the Journalism Excellence Awards. In November 2011, Susanne Posel launched Occupy Corporatism, a headline news website that quickly became one of the most widely-read, linked to, and frequently-cited websites on the Internet. In 2012, she became a globally syndicated radio host; and that same year, she joined Vinny Eastwood in the creation of REAL Guerilla Media, a site that spotlights independent media journalists, radio hosts, activists and documentary filmmakers worldwide. In early 2013, Susanne joined the i-Heart Radio family of broadcasters. Currently, Susanne is the host of HARDLINE with Susanne Posel on American Freedom Radio every Monday|Wednesday|Friday at 8pm Central. In 2014, Susanne Posel began a second news media agency with the publication on The US Independent; an online newspaper that joins together journalists, broadcasters, whistle blowers and professional experts to bring the media consumer in depth information. The US Independent, like Occupy Corporatism, stands of the original journalistic model of honesty and integrity in reporting fact-based news that Susanne is famous for. After a half-year long investigation into Cannabidiol and the Snake-Oil salesmen and manufacturers in the CBD industry, Susanne and her husband David Posel founded the first online store which the world’s first crystalline CBD product only; independently lab tested and fully guaranteed. Crystal Pure CBD™ is made with the industry’s BEST 99.9% pure Cannabidiol crystal. Zero additives, fillers, sugars, stabilizers or GMO’s and offers the strongest products, lowest prices and the highest quality in the CBD in the industry.